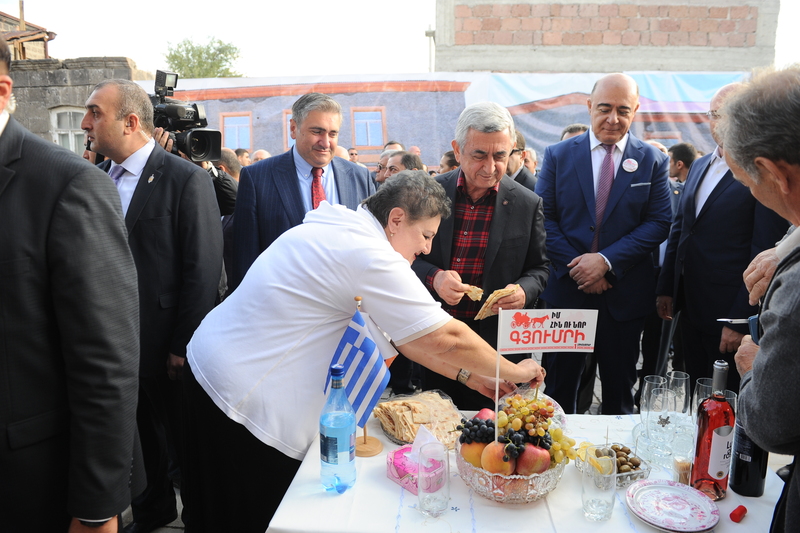 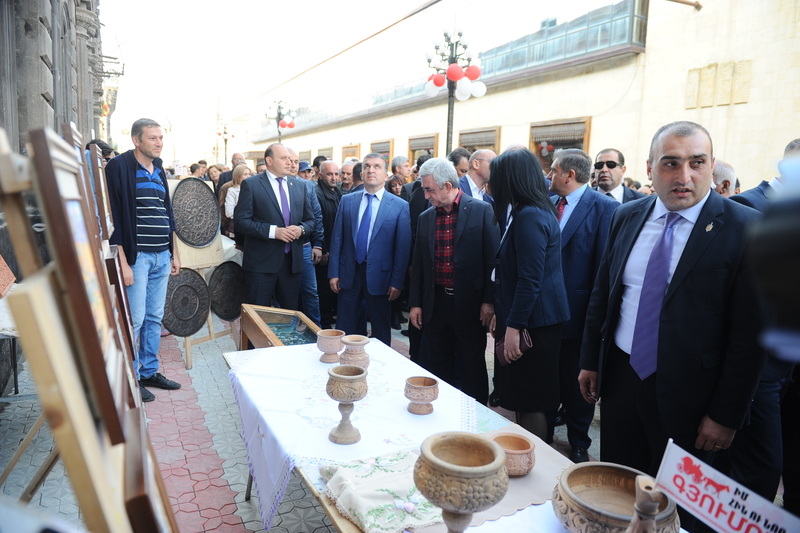 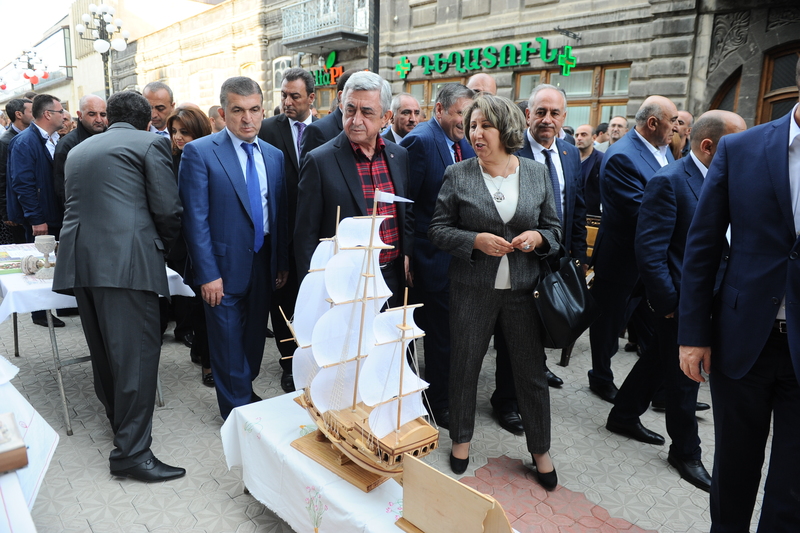 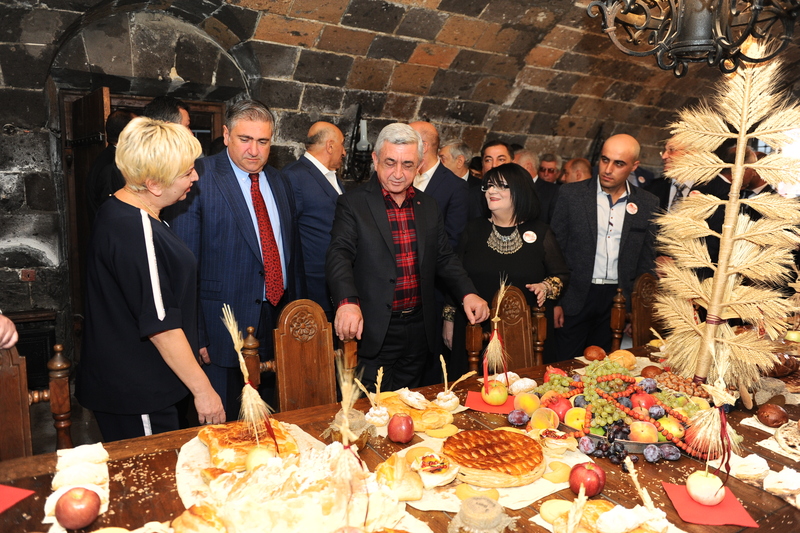 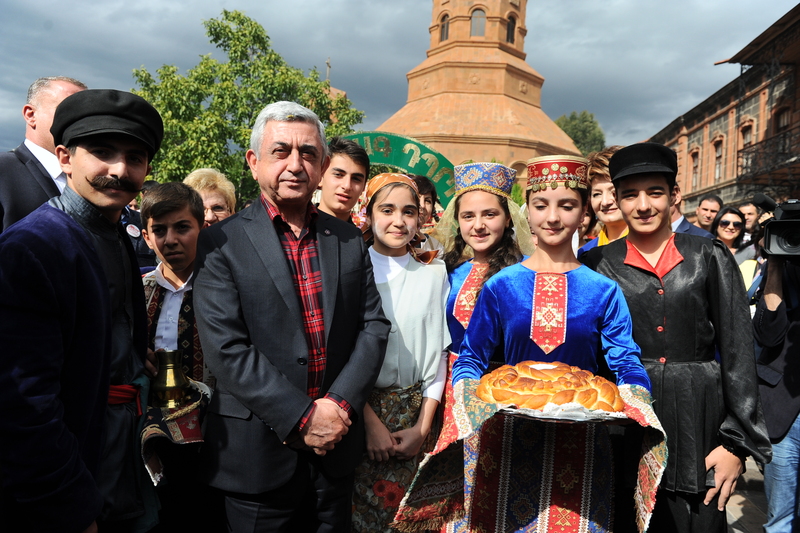 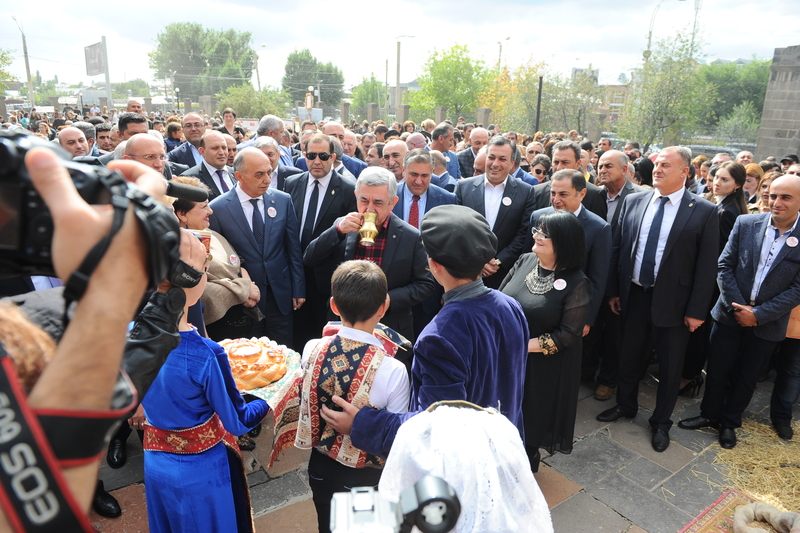 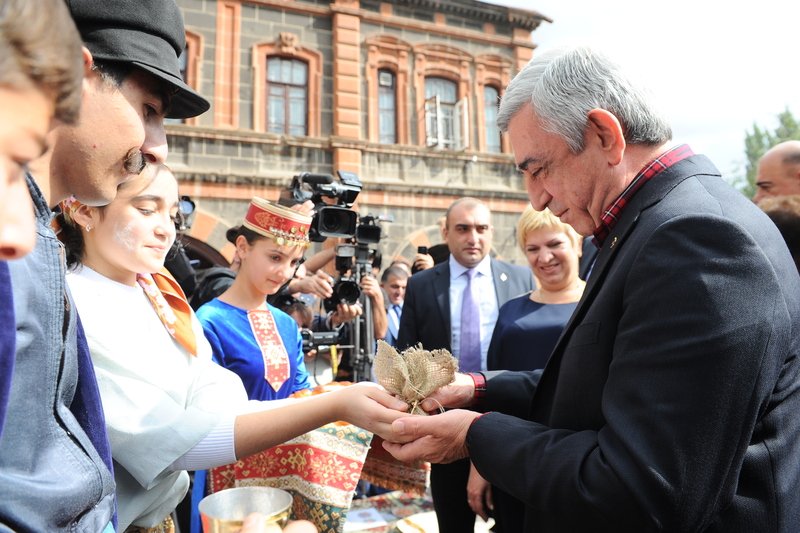 President Serzh Sargsyan attended today festive events dedicated to the Day of Gyumri, in the frame of which he visited a number of cultural centers in the city, watched the Bread Festival, which represents the traditional lifestyle of Gyumri inhabitants, the local crafts and traditions. 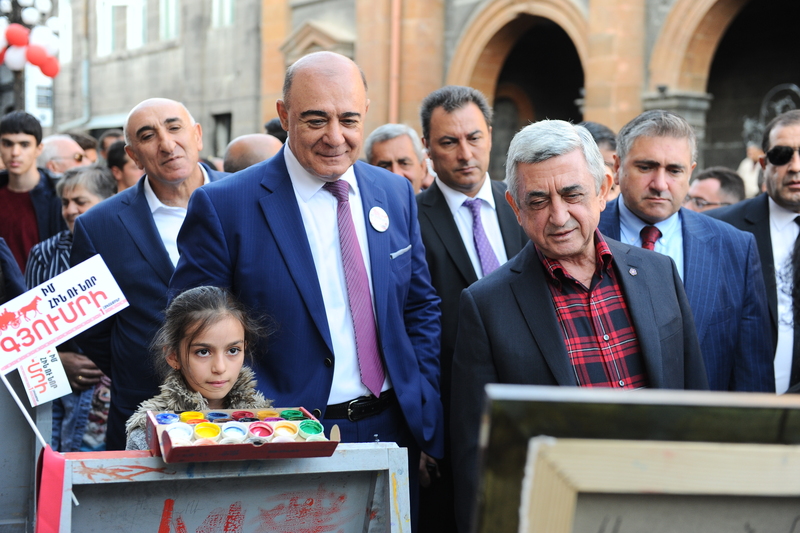 In conclusion, the Head of State participated in the opening of the Children’s Art House in Gyumri. 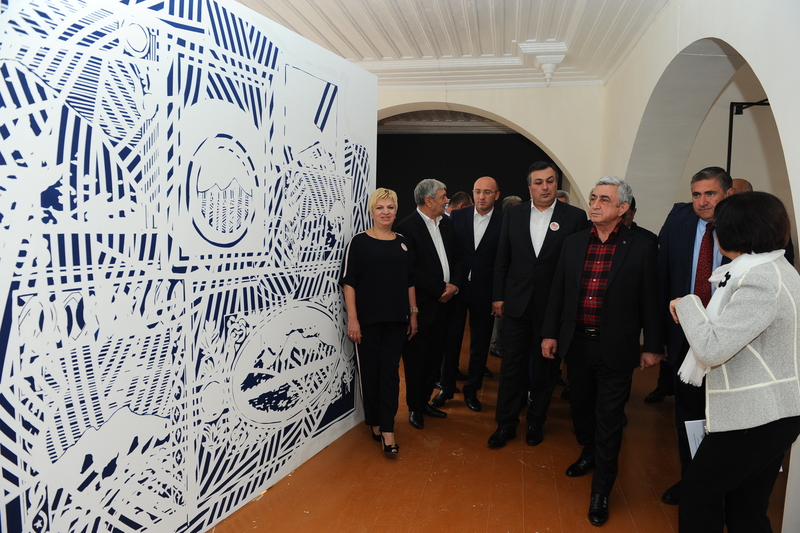 The President next visited the Tumo Creative Technologies Center’s construction site in Gyumri to get acquainted with the construction process. 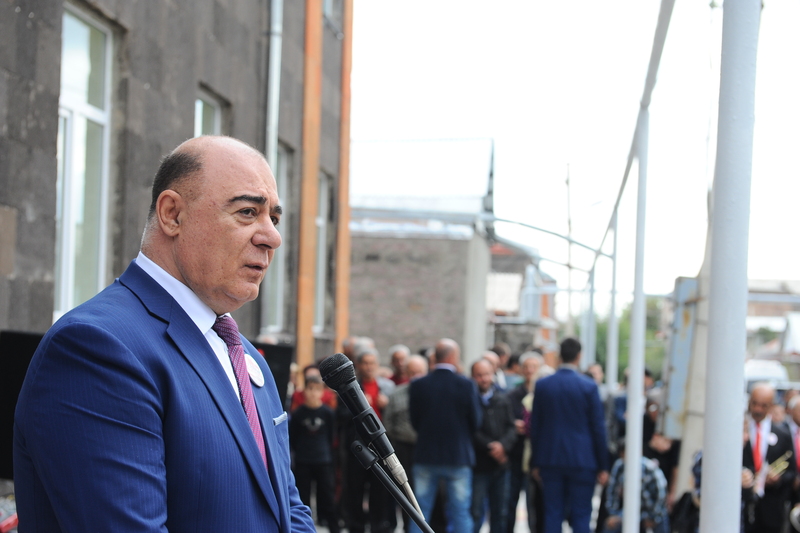 A presidential assignment was issued as early as in 2015 on setting up a new center for Tumo’s expansion during the consultations called to discuss the socioeconomic situation and regional priorities in Shirak Marz with the staff of Marz administration and the Mayor of Gyumri. 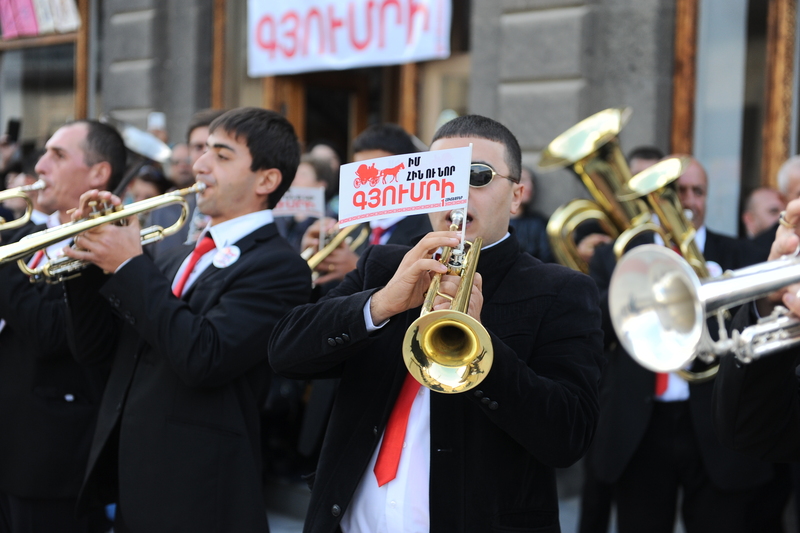 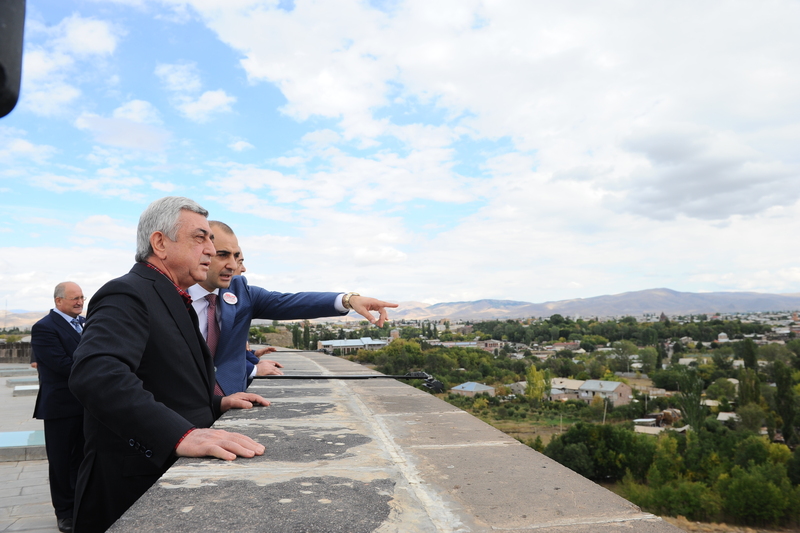 During the same consultation, the President asked about the reconstruction of streets in Gyumri. 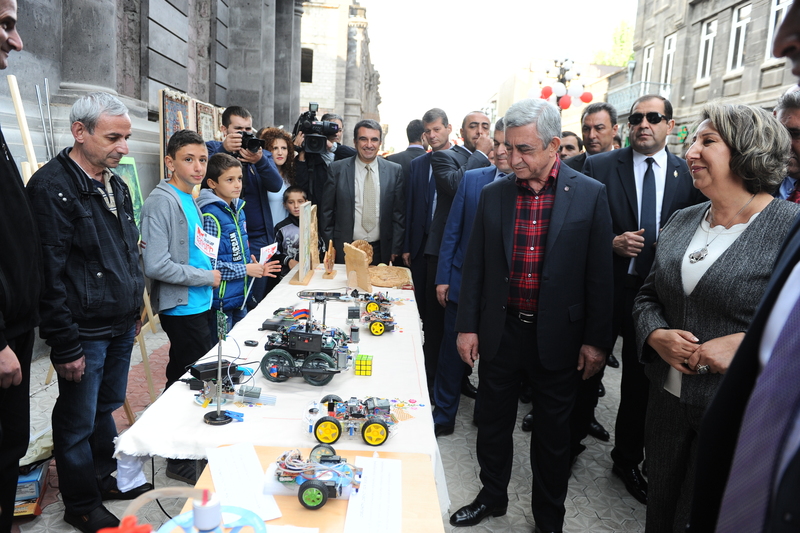 The President was today briefed on the work done in that direction and the upcoming programs. 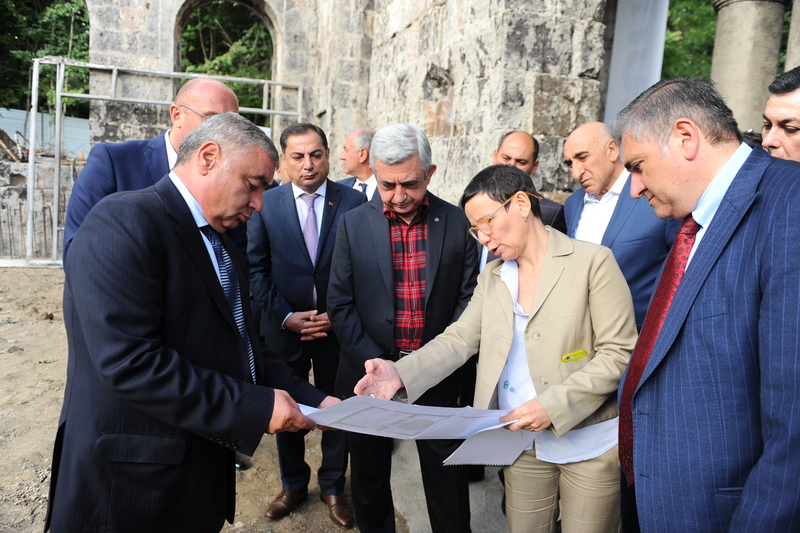 The renovation of ten streets in Gyumri and modernization of the city’s lighting network are being implemented with the financial support of the European Bank for Reconstruction and Development (EBRD) within the framework of the Gyumri City Roads program. 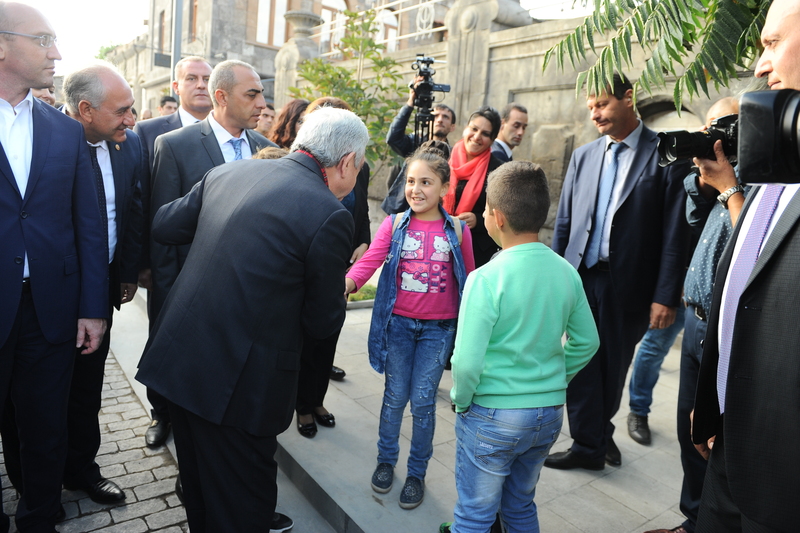 As a result, the city will have well-maintained streets fit for safe road traffic and an energy saving lighting network. 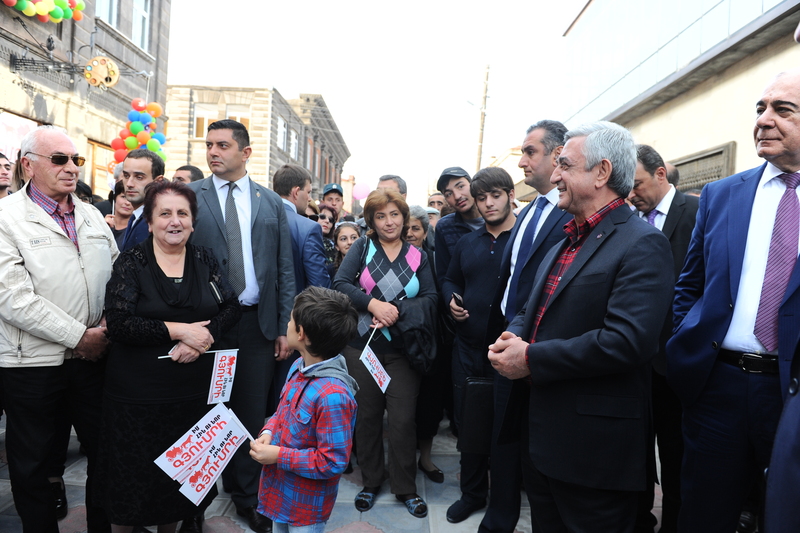 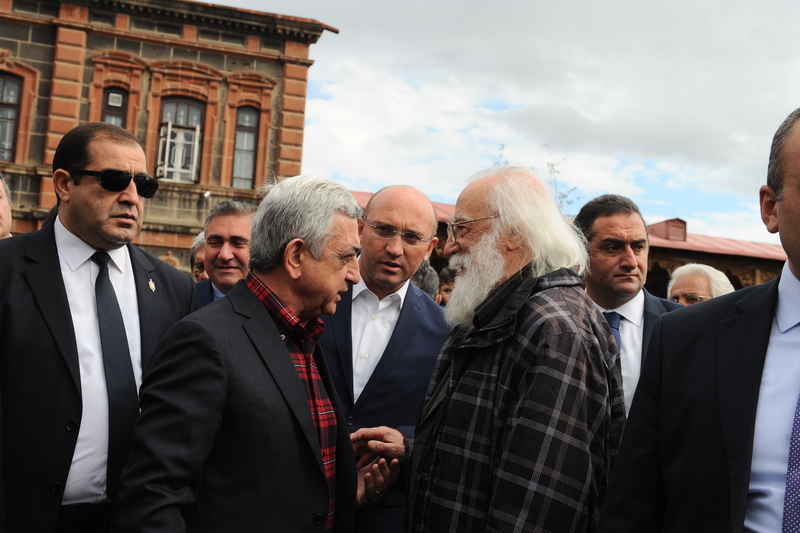 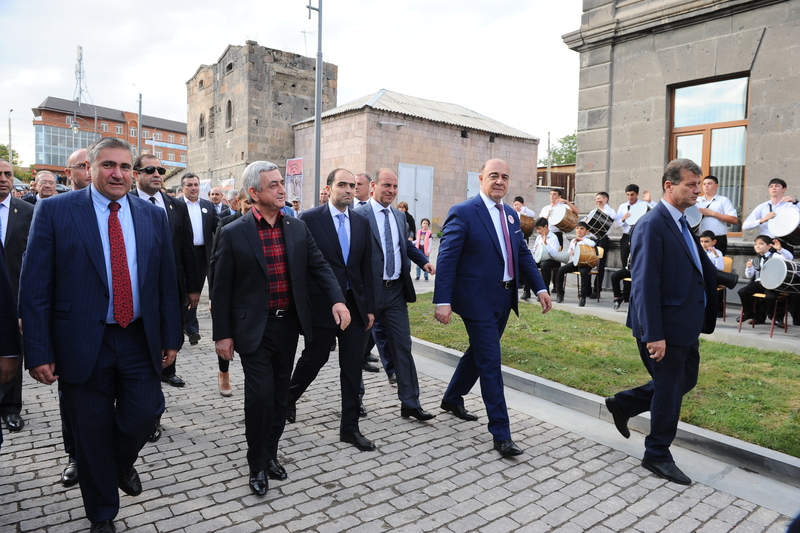 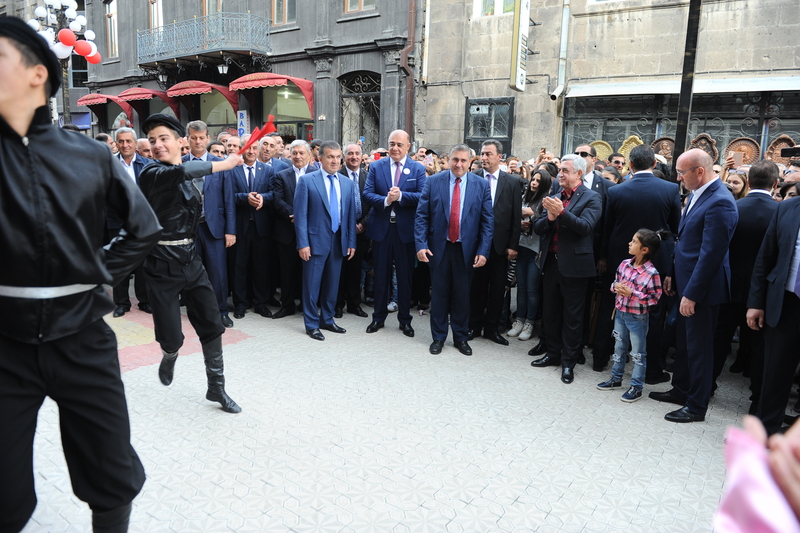 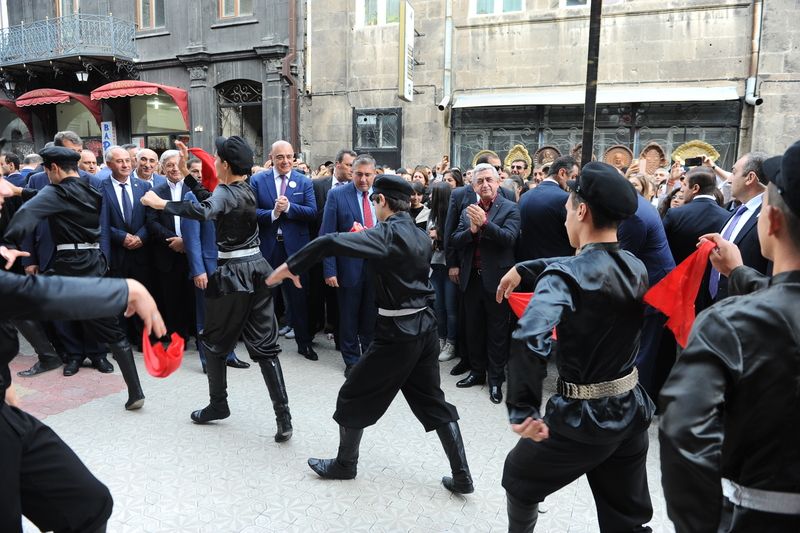 President Serzh Sargsyan was also introduced to the process of reconstruction of Rustaveli street in Gyumri. 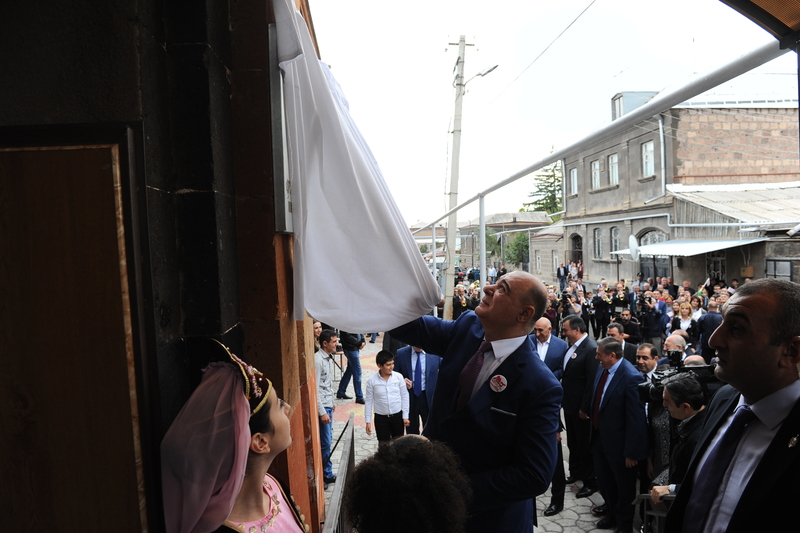 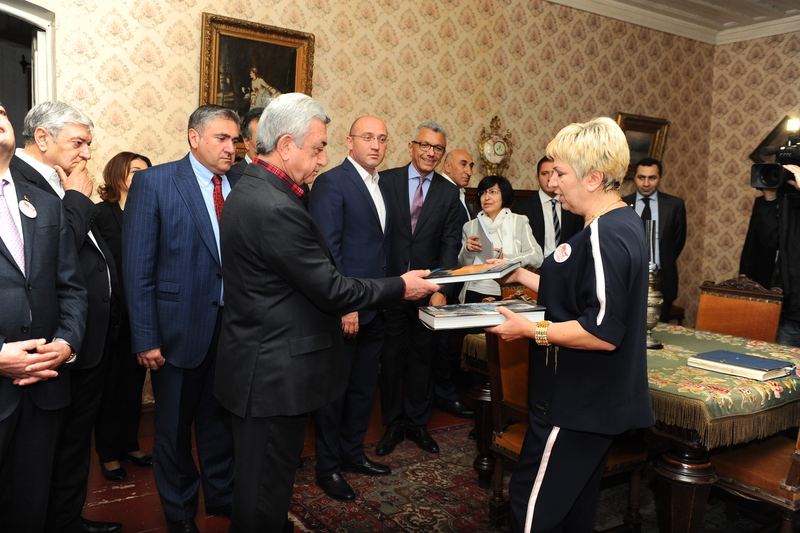 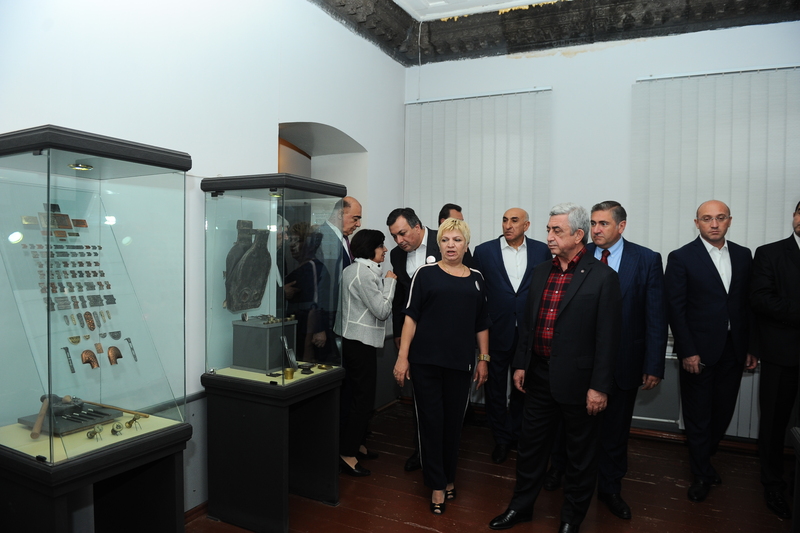 The presidential tour in Gyumri kicked off from the Black Fortress architectural complex, which is a historical-cultural monument of national relevance and is located in the protected zone of the Kumayri Historical-Cultural Reserve. 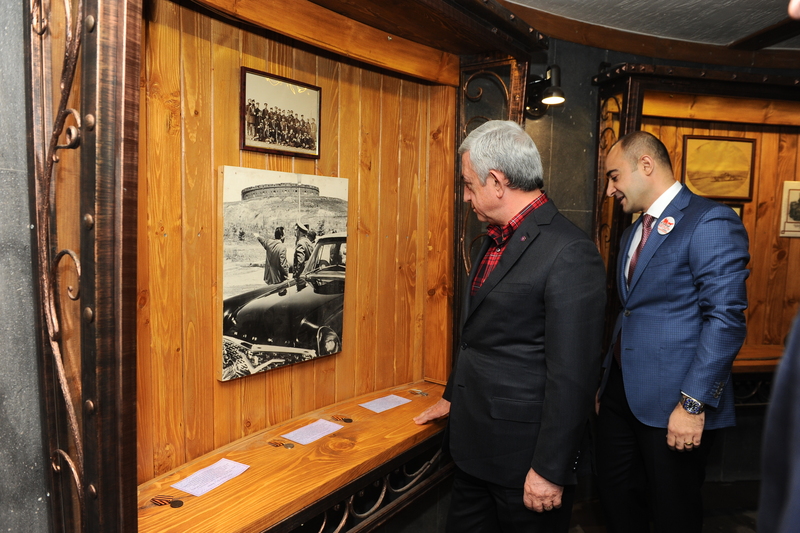 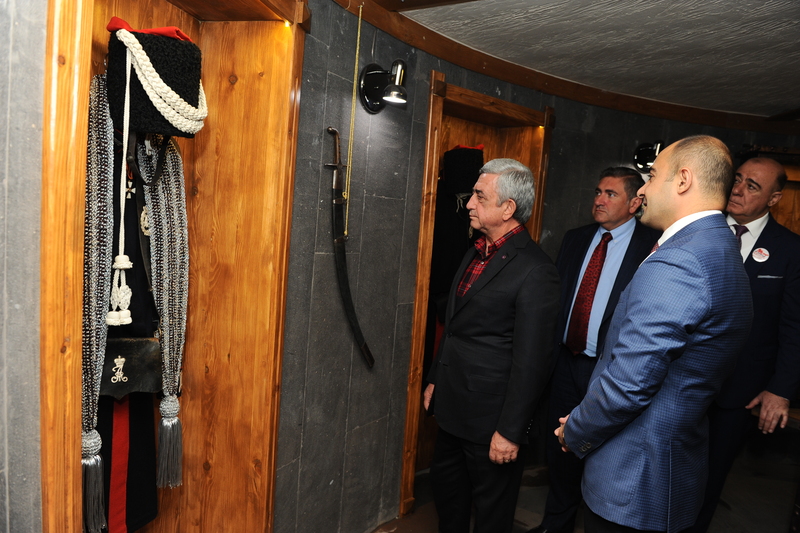 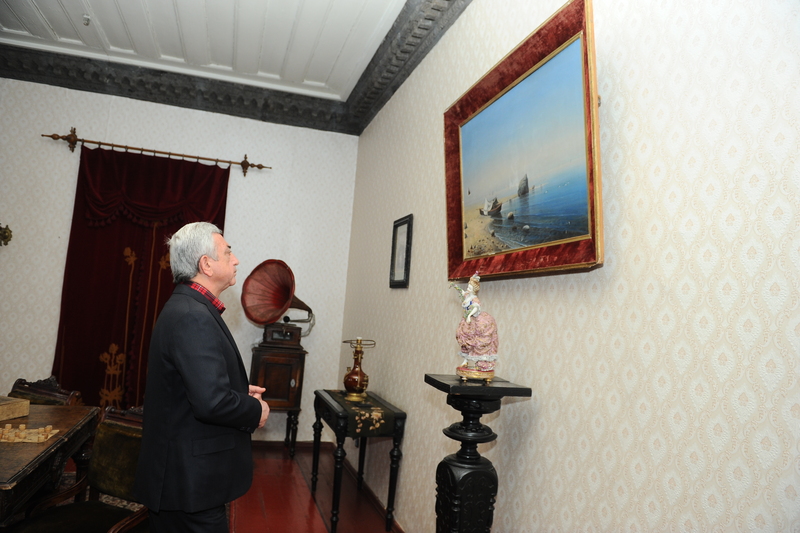 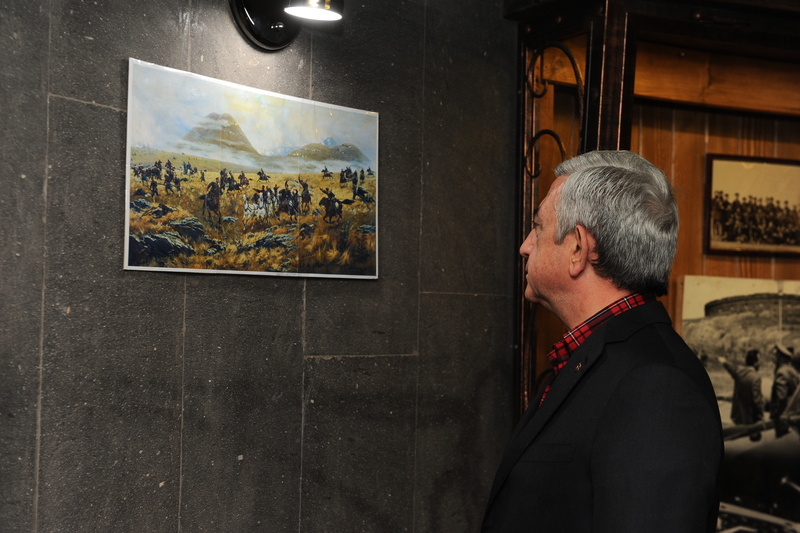 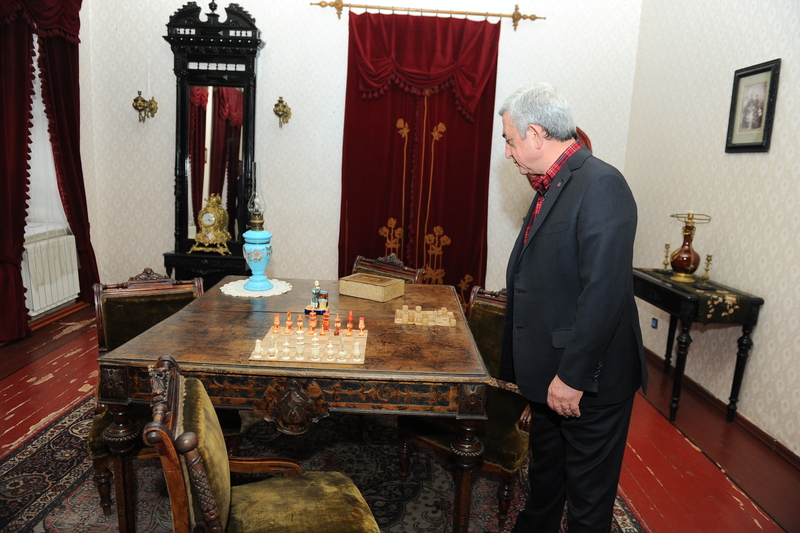 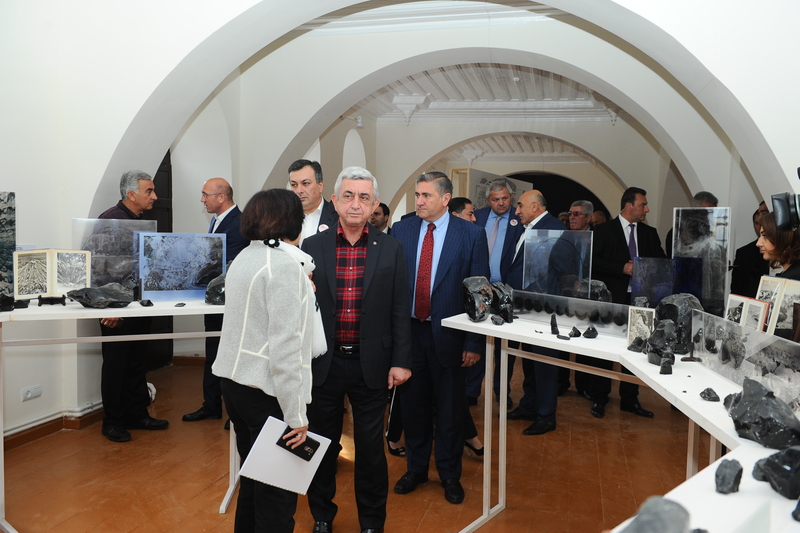 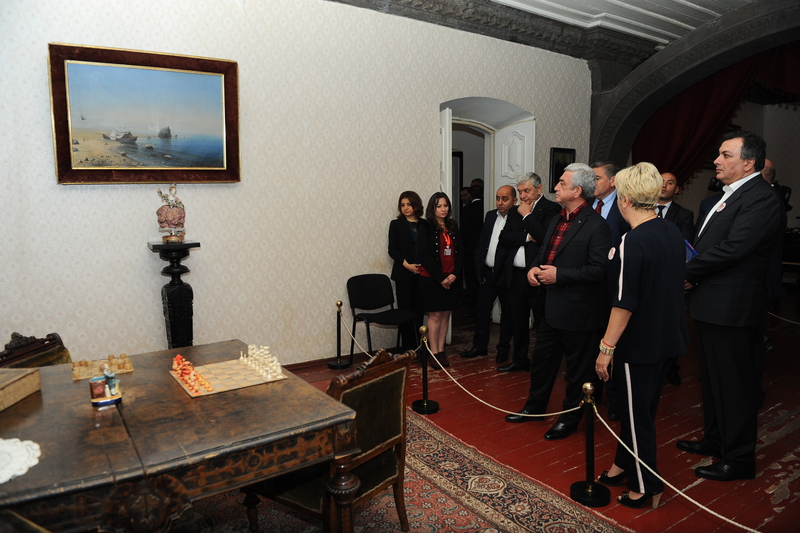 Serzh Sargsyan got acquainted with the amenities available at the cultural complex, which used to be military facility, including the exhibits of the museum situated in the Black Castle area that reproduce the construction of Alexandrapol fortress, the founding of the city and those Russian Army Generals of Armenian descent who participated in the Russian-Turkish wars. 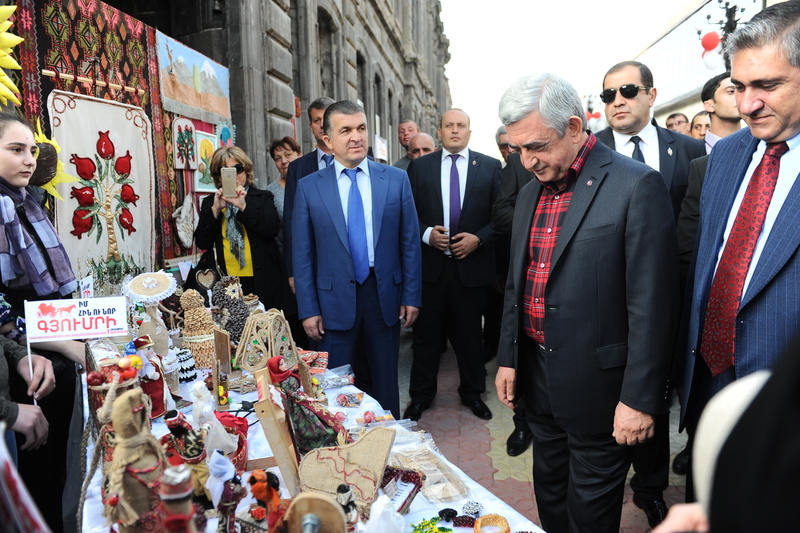 The President called another cultural center - the People’s Architecture and Urban Life Museum - where he familiarized himself with exhibits that represent Alexandropol’s traditions, the public life and spiritual culture of the local population in the autonomous period between the 1860s and 1920s. 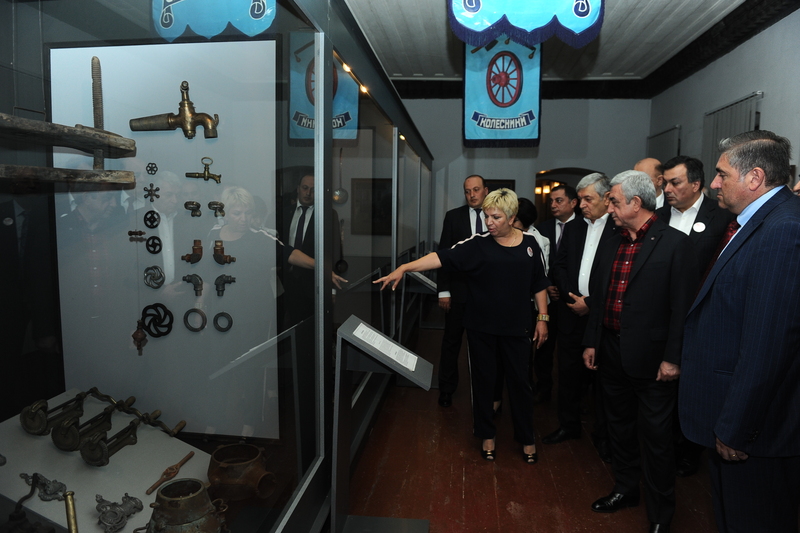 According to the President’s instruction, financial assistance will be provided to the Museum. 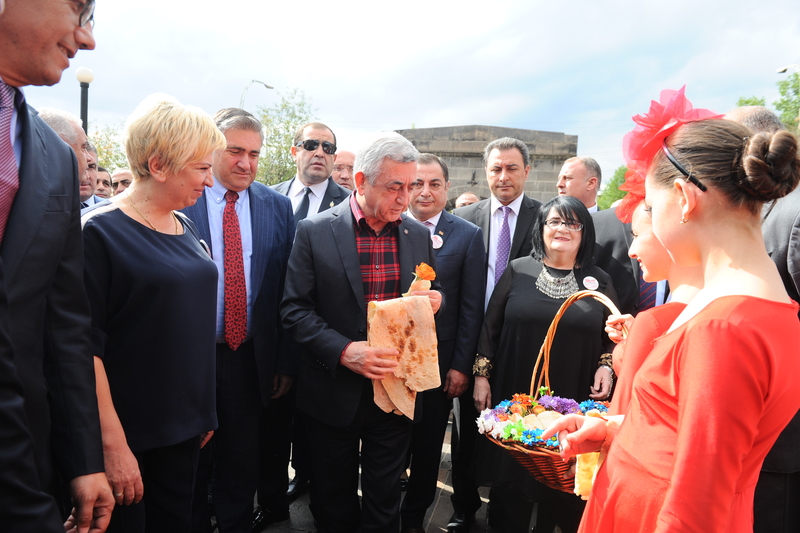 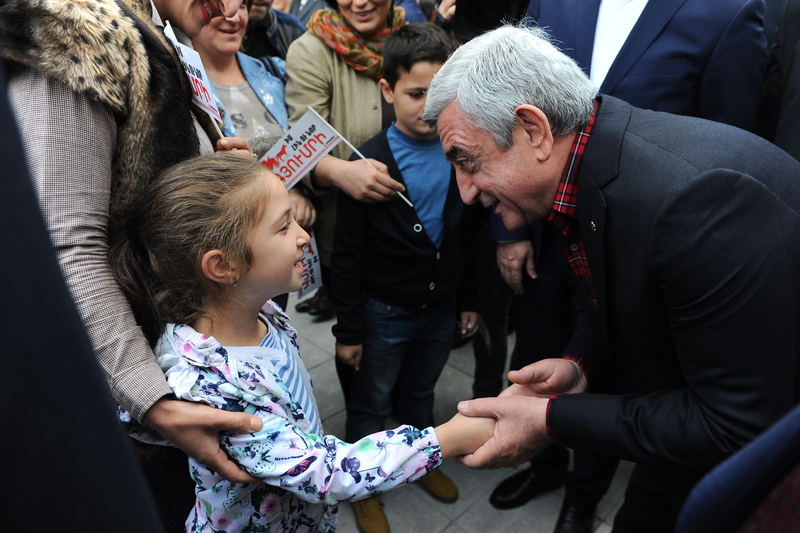 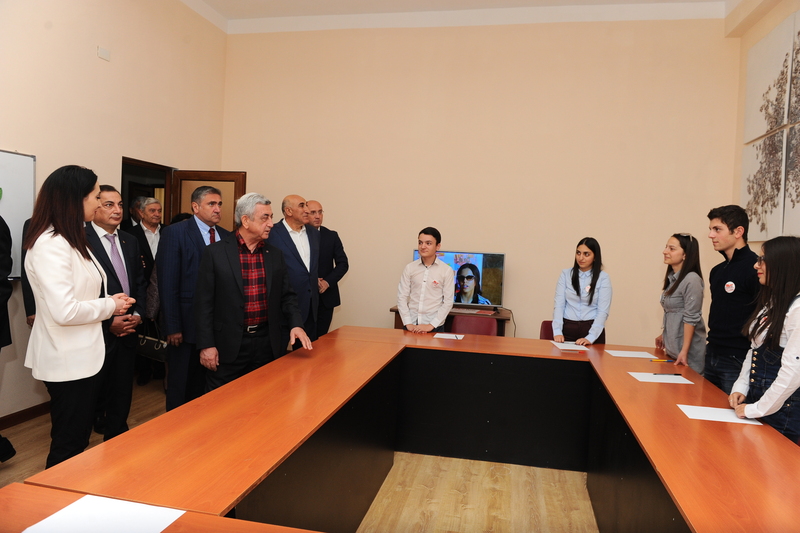 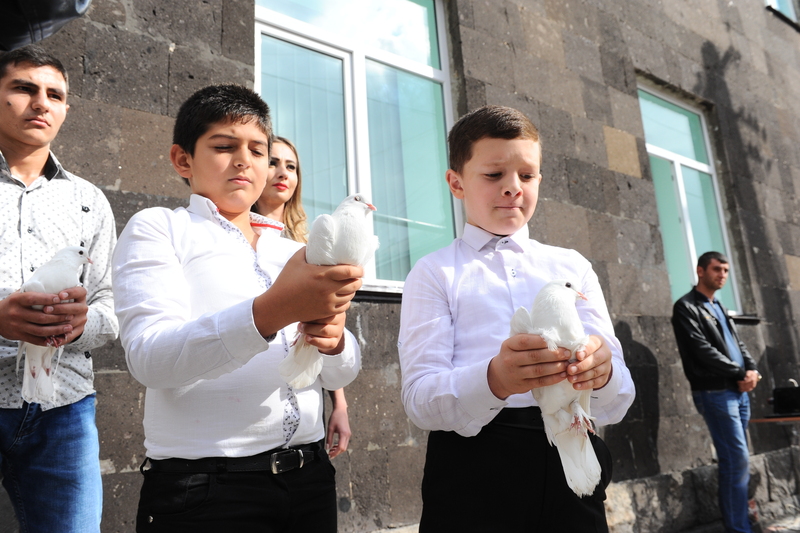 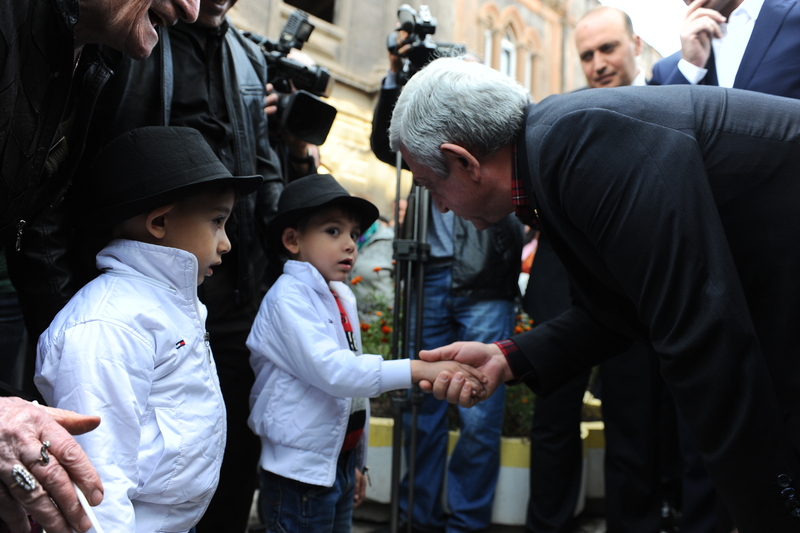 In the newly opened Children’s Art House of Gyumri, President Serzh Sargsyan was introduced to the conditions available as a result of construction works. 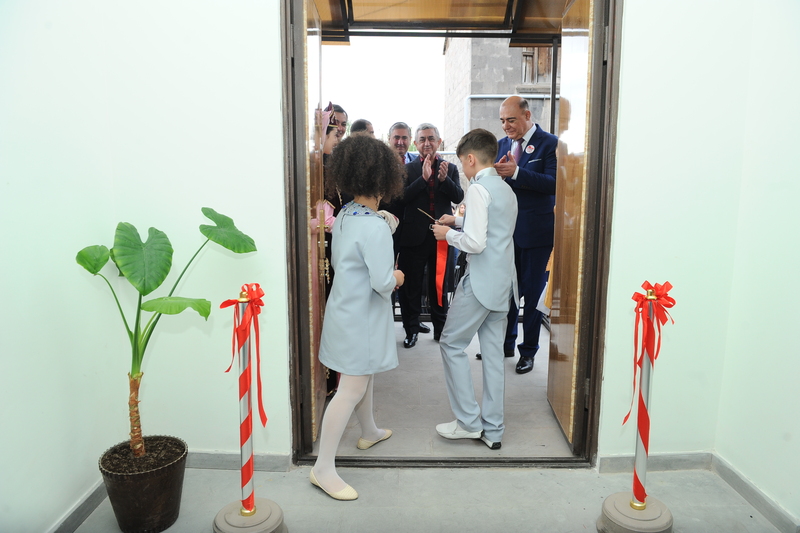 The Art House will host singing, dancing, painting, reciting, dress modeling, foreign language teaching and other classes. 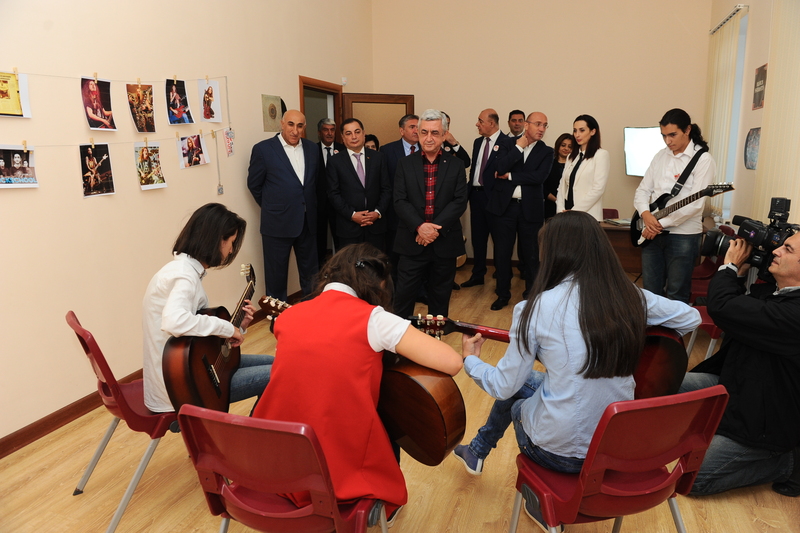 Mindful of the need for developing children’s knowledge and artistic skills, the Head of State promised to support the Center’s activities as soon as possible. 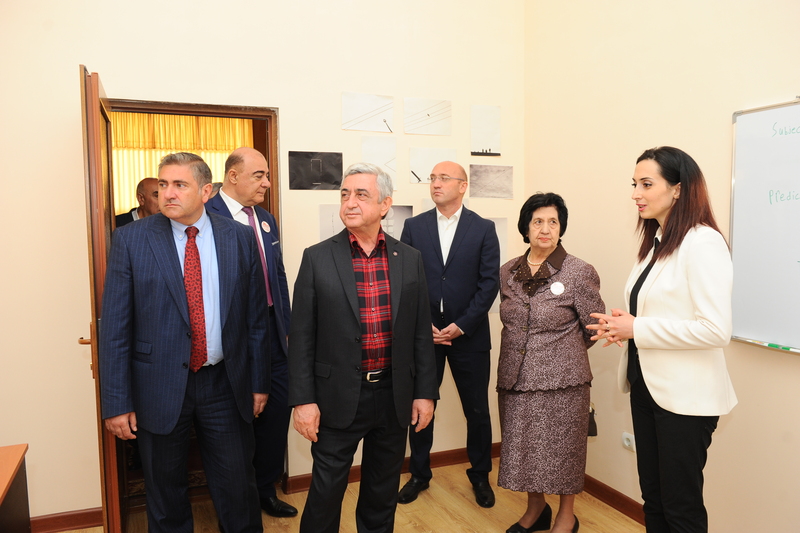 President Sargsyan next called at the construction site of Tumo Gyumri Center for Creative Technologies, where the city’s first theater building has been renovated since June 10, 2017. 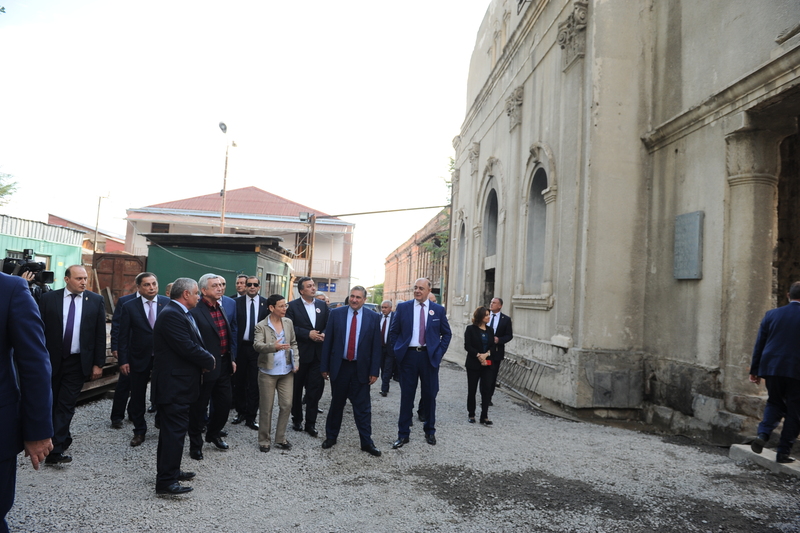 Upon its completion, the Tumo Center will move to the refurbished building and will be able to host some 4,000 students. 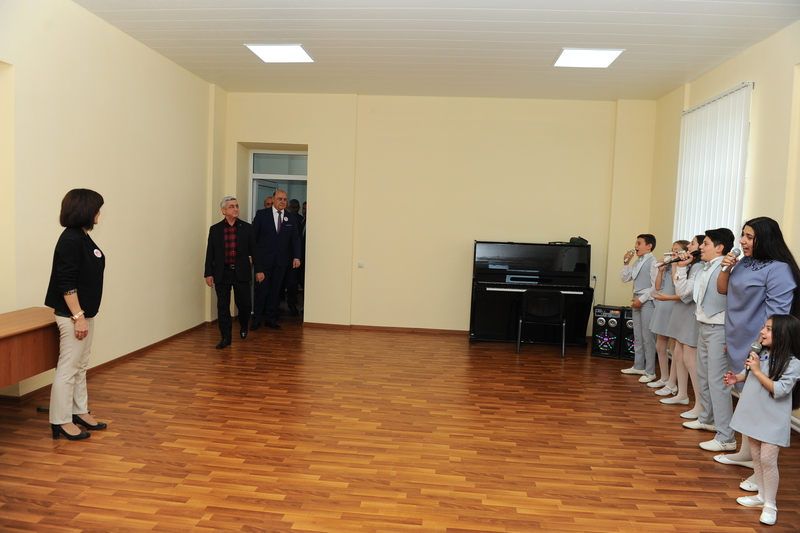 The Center will offer classrooms and self-training platforms. 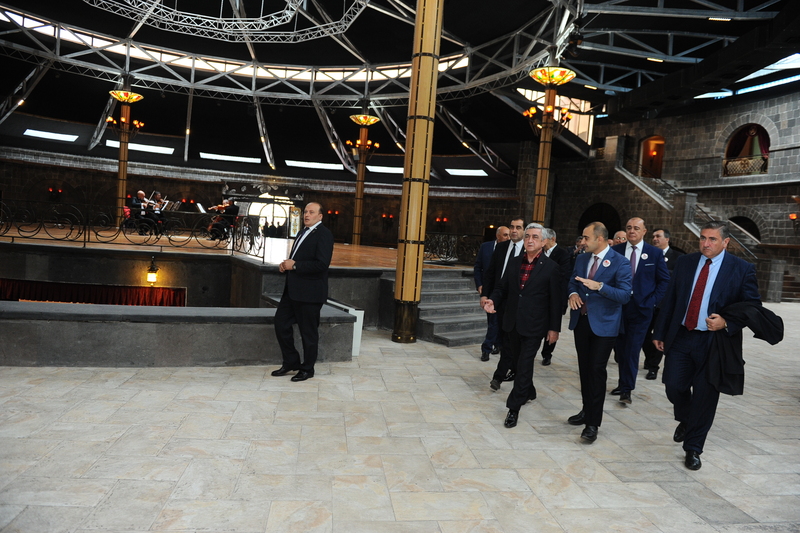 It will act as a cultural hearth where a large stage and cinema will be operational for the public at large. 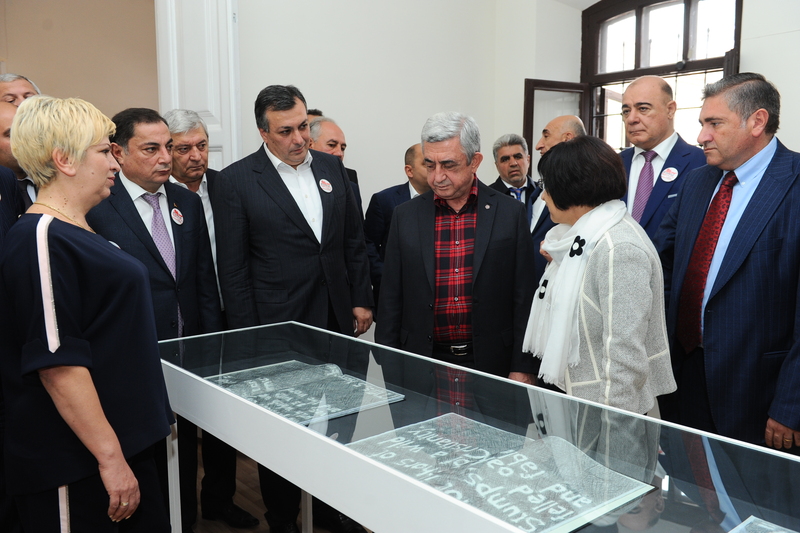 The President was also briefed on the ongoing rehabilitation activities at Rustaveli Street, which is part of the Kumayri Historical-Cultural Reserve Museum. 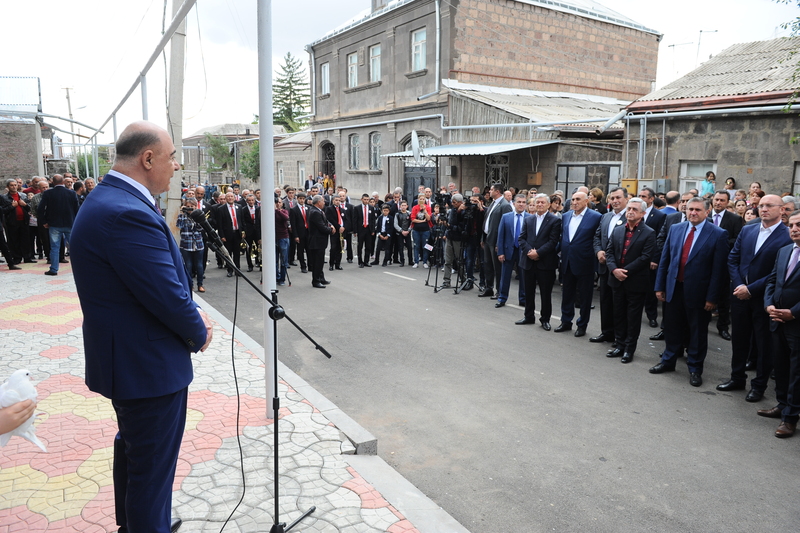 Water, gas supply and communication infrastructure, as well as the drainage system were said to have been renovated in the street; high-voltage cable lines have been installed; the low-voltage overhead lines were substituted with underground cable lines. 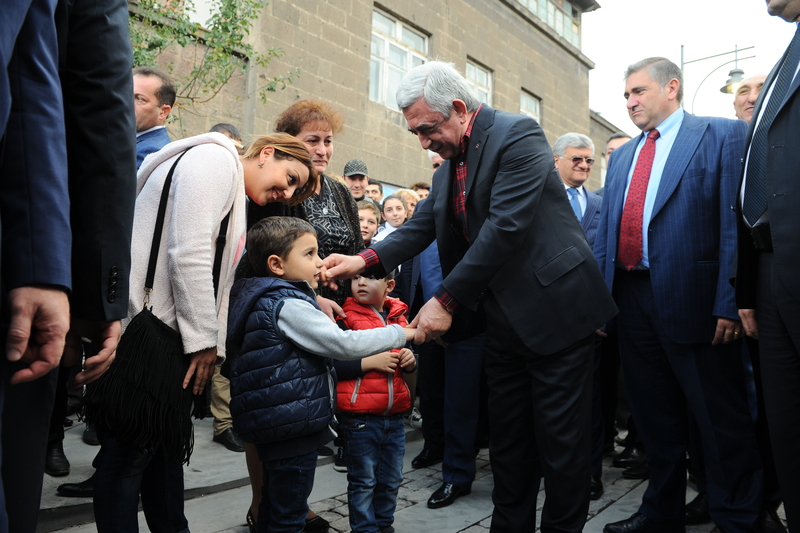 Concrete works of the upper layer of the street have been implemented; granite pavement stones, basalt cores and basalt slabs have been installed on the sidewalks. 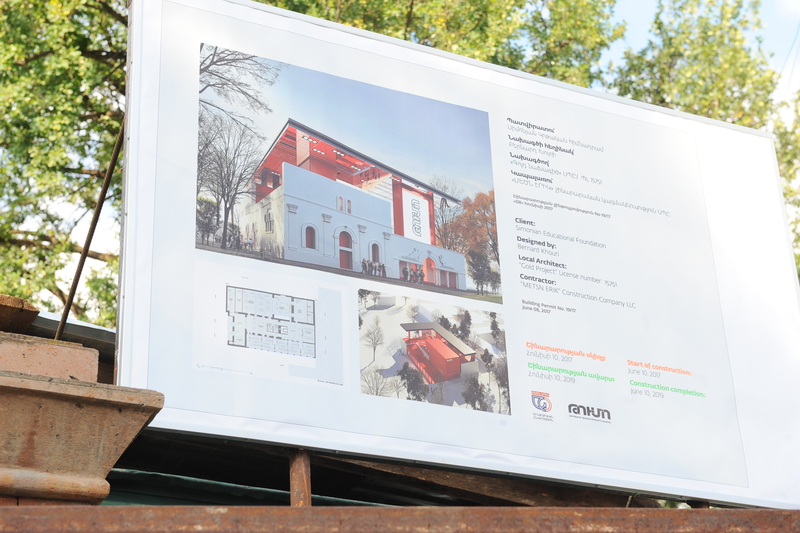 The works carried out do far include pillars of external lighting and benches on the street. 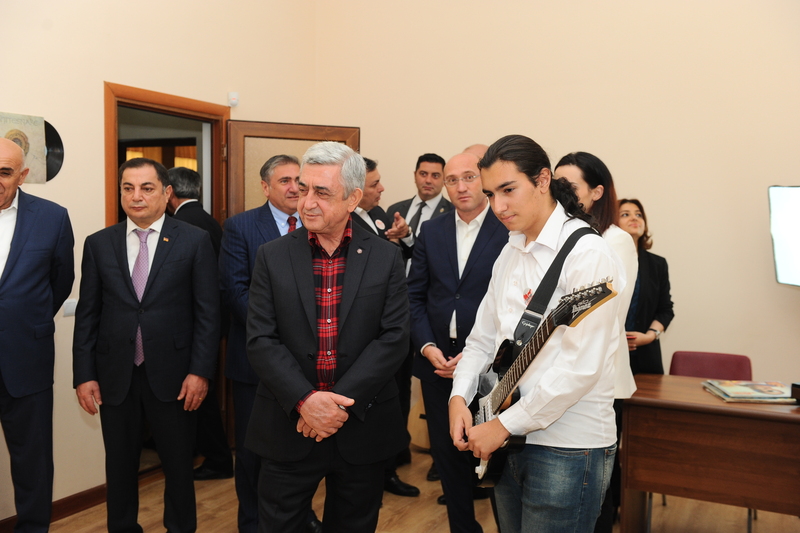 Within the frameworks of festive events, the President visited Gyumri’s Youth Palace community non-profit organization, where numerous youth initiatives are being implemented. 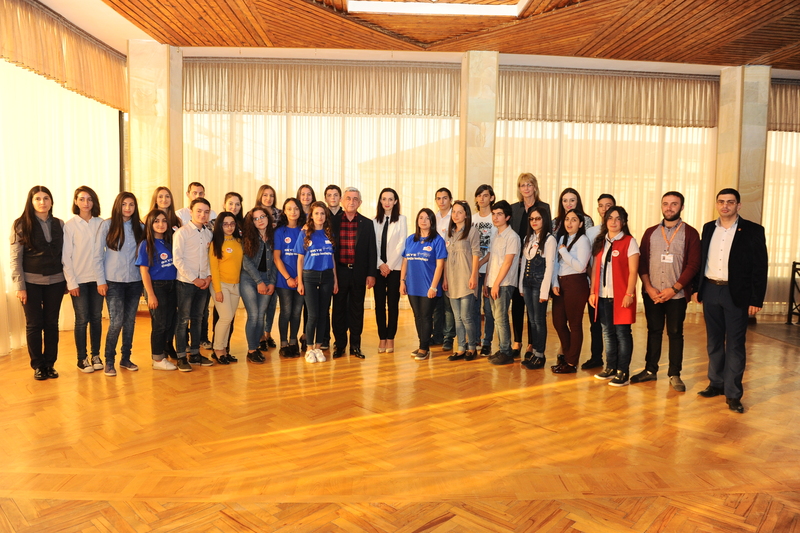 This community-based organization aims to bring together young people in Armenia’s cultural capital and grow into the best destination for leisure and non-formal education. 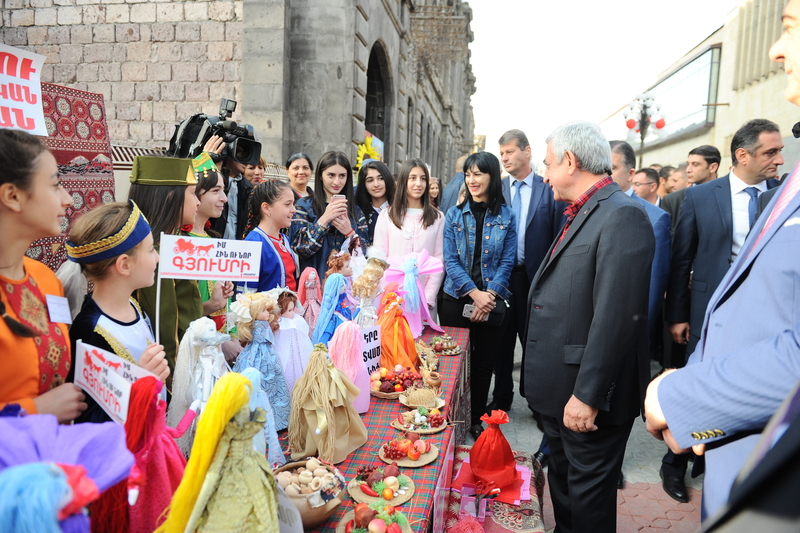 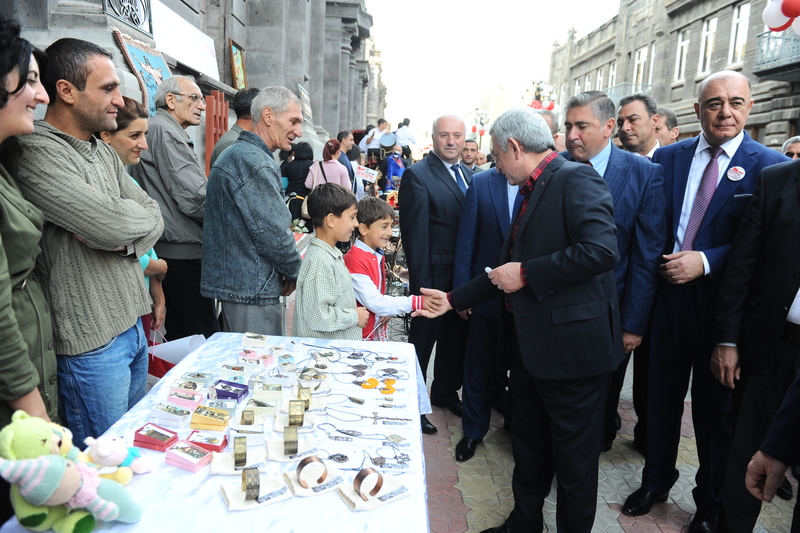 On the occasion of Gyumri Day, the Youth Palace hosted a Crafts Festival as attended by Gyumri, Vanadzor, Ijevan and Artik towns, which presented their artistic works. 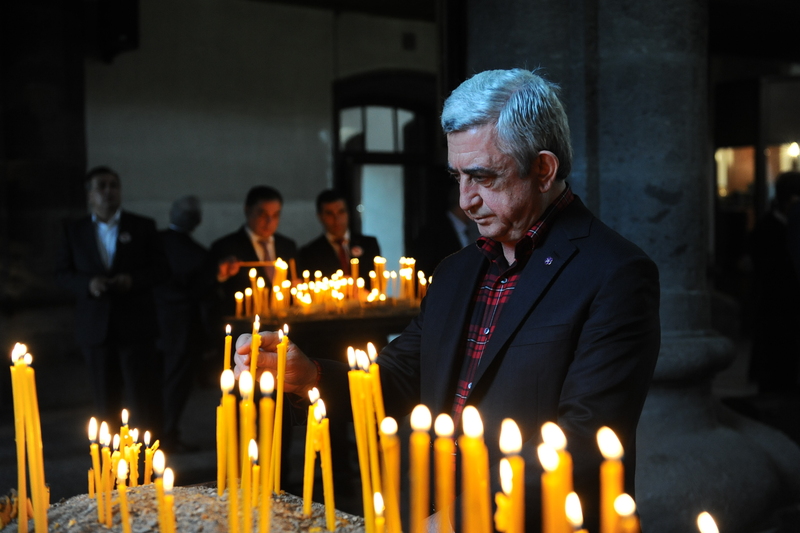 At the end of the visit, Serzh Sargsyan lit candles at the Church of the Holy Mother of God (Holy Seven Wounds).